The Green Hills of Africa…. 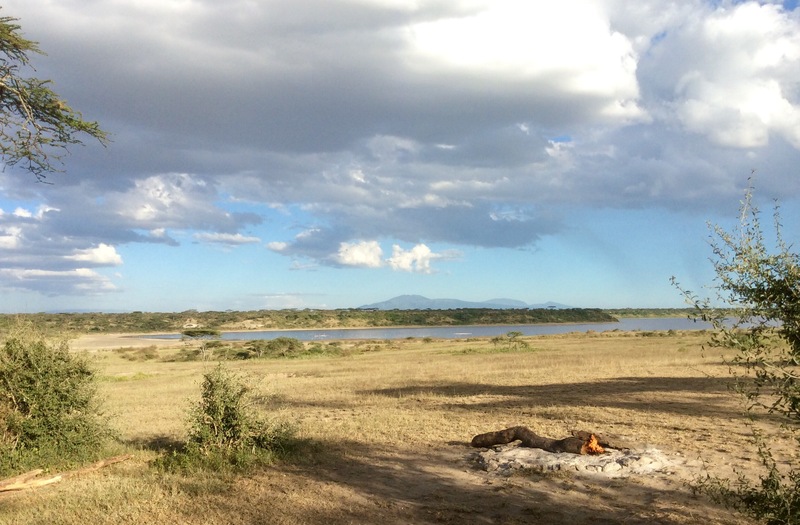 The last day of our safari began with a gorgeous sunrise viewed from our breakfast table nestled above Lake Ndutu. Fresh coffee, juice, toast, pancakes and a Spanish omelette made up the menu as the clouds on the horizon brightened with the rising sun that eventually declared a new day. Another morning on the savanna of the Serengeti, each one bringing the promise of a totally new experience. We said goodbye to the camp staff after breakfast as we would not be returning and ventured out on the open plains. It was getting warm already by 8am and the sky was completely clear without a cloud to be seen except far on the horizon. We visited our friendly leopard spot again only to find him not home and in the grass somewhere between his trees. There were vehicles waiting, but since we had seen him several times before we decided to move on. 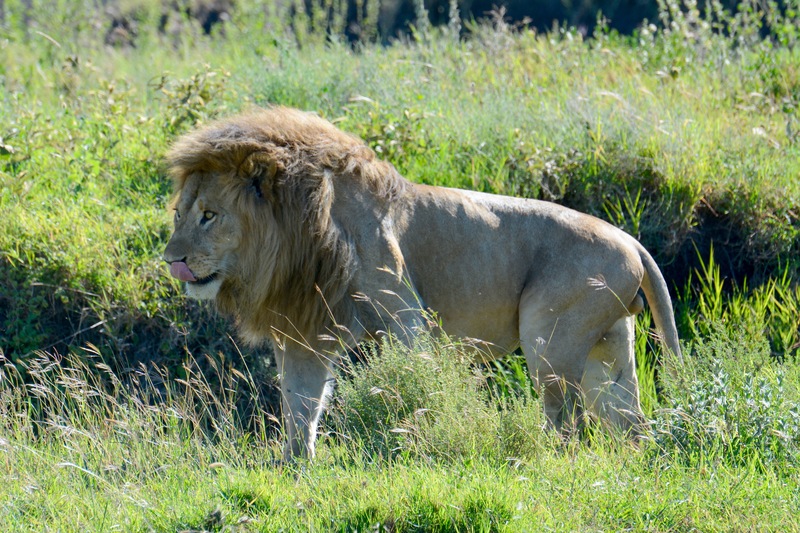 We wound through semi-dry river beds between the marshes for some time and then onto the hilltops looking for animals and eventually came upon a wonderful pride of lions consisting of a male in his prime, several females, an adolescent and younger juvenile. The male was originally across the creek bed from the females, but as we drove by him he seemed irritated as he got up and slowly meandered to the creek to take a long drink, then across it and over to join the females of his group. 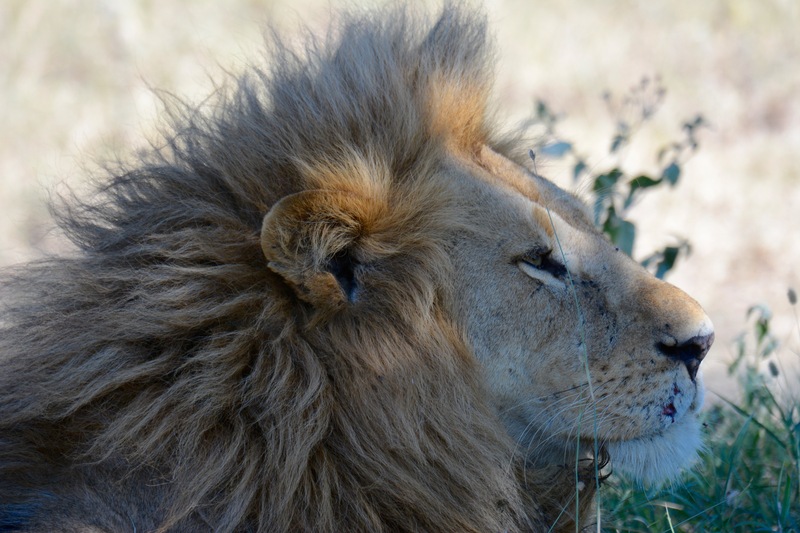 He had a magnificent mane and appeared very healthy and well fed. 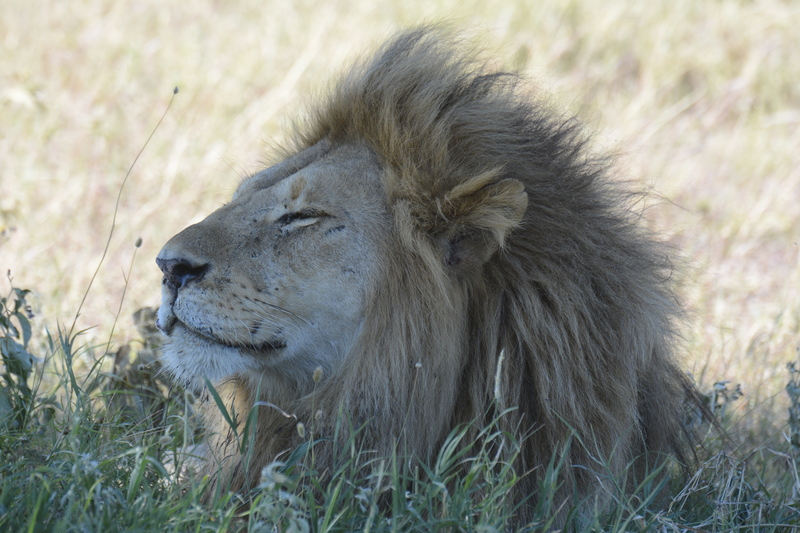 We sat and watched them for some time, but as is usually the case, this pride was having their midday nap. And since lions can sleep for up to 20 hours a day you can be pretty certain that unless they’re on the move when you spot them, they will likely remain sleeping for some time. I was excited today that our drive home was going to be via a different route than is normally taken. 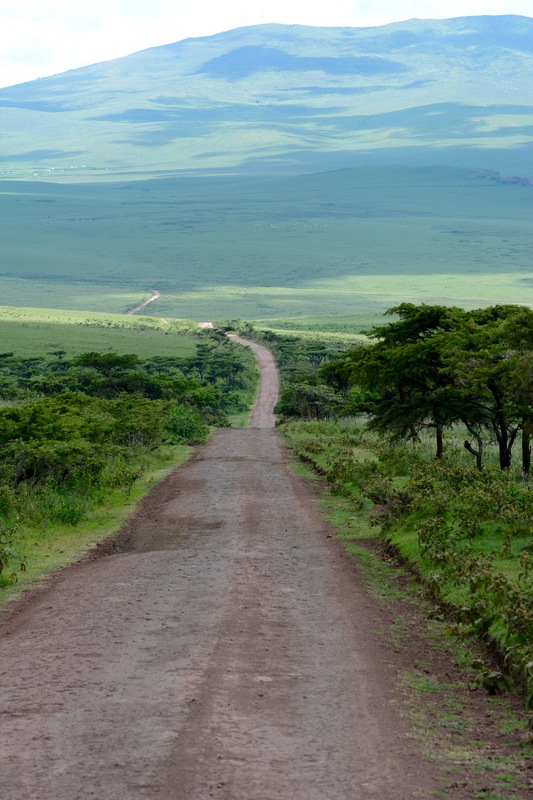 Instead of taking the Oldupai road to the crater and out of the conservation area, we would traveling on the Endolen road which runs far to the east and through a completely different topography. I had never been on this route before and Yusef, our guide was going this way as he had heard that part of the migration was still in this area so there should be good animal viewing. 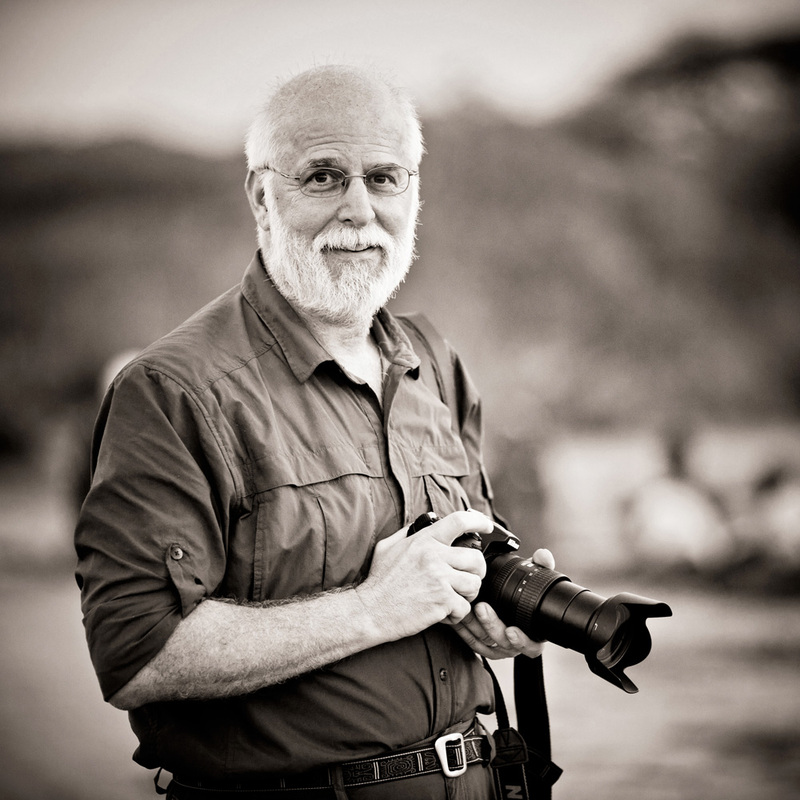 There were very large herds of wildebeest and zebra occupying much of the view as we drove along the edge of the savanna with a smattering of Thompson and Grants gazelles. 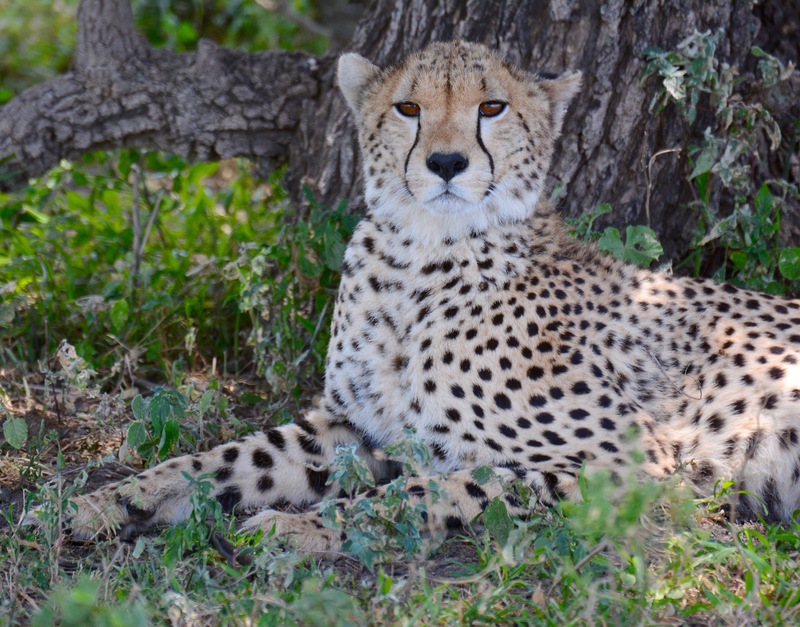 We eventually came upon a beautiful cheetah that Yusef had spotted sitting under a tree. They are such superb animals and so graceful in their appearance compared to the lion and even the leopard. 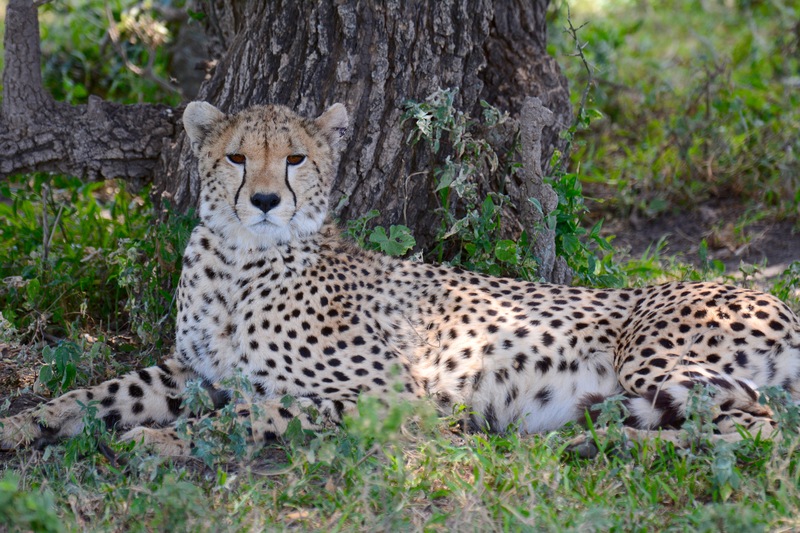 The cheetah is built for speed and their power resides in their grace and endurance. The lion is powerful for the short pursuit, but beyond that is unable to sustain the attack. It will give up before 200m of pursuit. The leopard is powerful in its brute strength along with its stealth. It pounces for the kill and then relies on that brute strength to carry its prey high into the tree for storage. The Green Hills of Africa reference relates to our drive back through via the Endolen road. I hadn’t driven through that area on any my previous adventures, but I will be sure to visit the area again in the future. For anyone traveling to Africa, though, be sure to read this Hemingway short non-fiction novel that describes a hunting trip he took in the 1930s with his wife to Lake Manyara. It is a wonderfully descriptive story as only Hemingway can achieve and though I am certainly not a fan of hunting rhinos, he brings the true feel of the African safari to his pages. The Endolen road from Lake Ndutu begins in the Serengeti savanna and slowly rises to climb the heights of the Ngorongoro Crater rim. As it does, the vegetation becomes more and more lush and the herds of Maasai cattle, goats and sheep more numerous. The road winds through mountain valleys and over hills covered by flat-topped acacia trees that are so synonymous with Africa. We climb and climb until we’re almost in the clouds with views in all directions including the dry lakebed of Lake Eyasi where the Hadza and the Datoga reside. We pass Endolen Hospital that is supported by the Lutheran Church and dozens of Maasai bomas and small villages. The land here supports huge numbers of Maasai with their livestock and communities. Small children scream and whistle as they run towards the road waiving at us as we drive by waving back. It is a truly peaceful region that is mostly untouched by the outside world and the people here are quite happy. They are only poor in the eyes of those who cannot understand their existence. But it is quite clear driving through these magnificent valleys and hills that life here is as it should be for the Maasai and there is a message to take away for us. They have so little, yet they have so much and perhaps this is what we need to learn from them. Our first mobile clinic in a year…. Wow! What a great outing. The photos are fantastic!